The culminating exhibition of Sculpture Studio’s Spring 2018 session is set for Saturday, June 23 from 12 – 2PM. Join us at the Park to view student artworks and enjoy some snacks with the young artists. 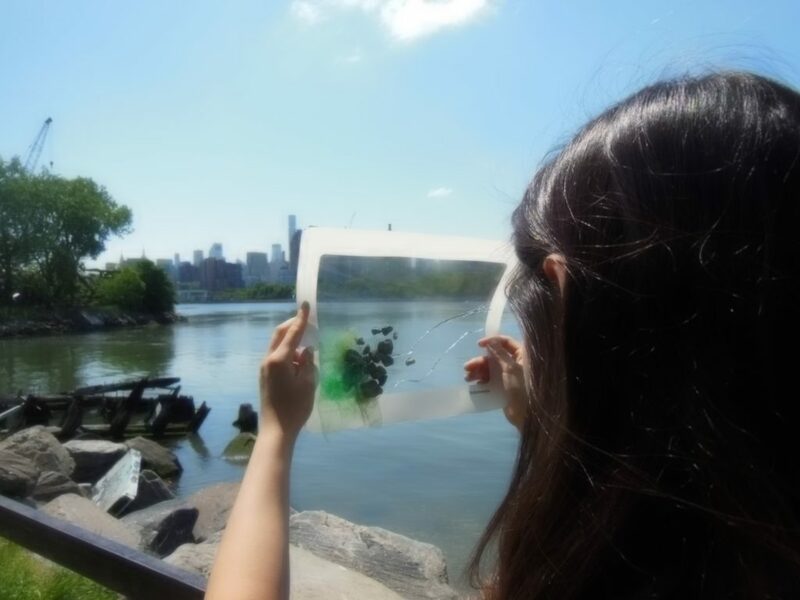 Over the last three months, Socrates educators Douglas Paulson and Pam Reyes have worked with students from local middle and high schools to develop site-specific experimental sculptures, costumes, and maps of their explorations in the Park. The resulting creations range from cardboard creatures to kinetic inventions, momentary performances, and poetic drawings. Sculpture Studio cultivates direct partnerships with local public schools to help students develop a sculpture and art-making practice. Over the course of the program, Socrates Educators aim to foster participants’ unique creative processes through ongoing dialogue. The Spring 2018 program, facilitated by Lead Educator Douglas Paulson and Assistant Educator Pam Reyes, explored students’ responses to the Park’s landscape and exhibition Built featuring works by artist Virginia Overton. The participating local schools for the Spring 2018 session were Long Island City High School, Baccalaureate School for Global Education, IS 126 middle school, and VOICE Charter School. Sculpture Studio is made possible through the generosity of The Pierre and Tana Matisse Foundation and The Robert Lehman Foundation.